Each event gets better and more successful through live feedback, team building and interaction. 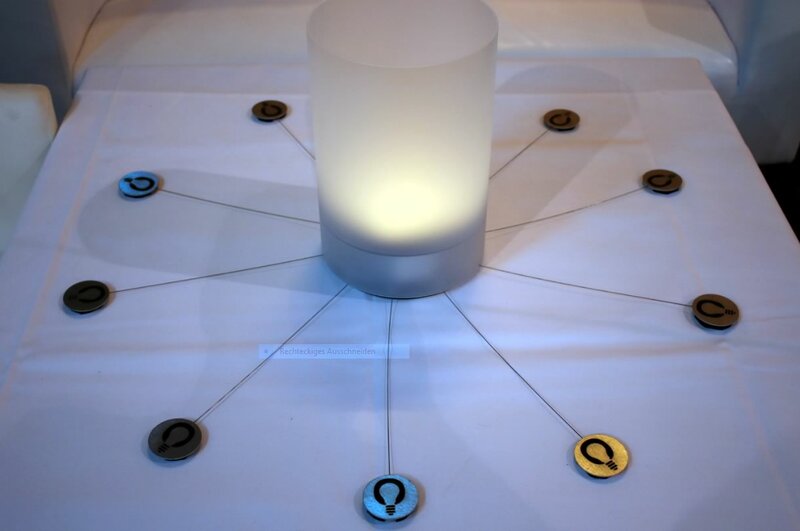 Our commitment lamp captures this feedback and turns it into an emotional visualization. The more people make contact with the lamp, the brighter it shines. A simple but impressive effect: the more people join, the stronger the team, the greater the affirmation and the more motivated the crowd. The light will faint once a contact breaks off. The commitment lamp needs the whole team! 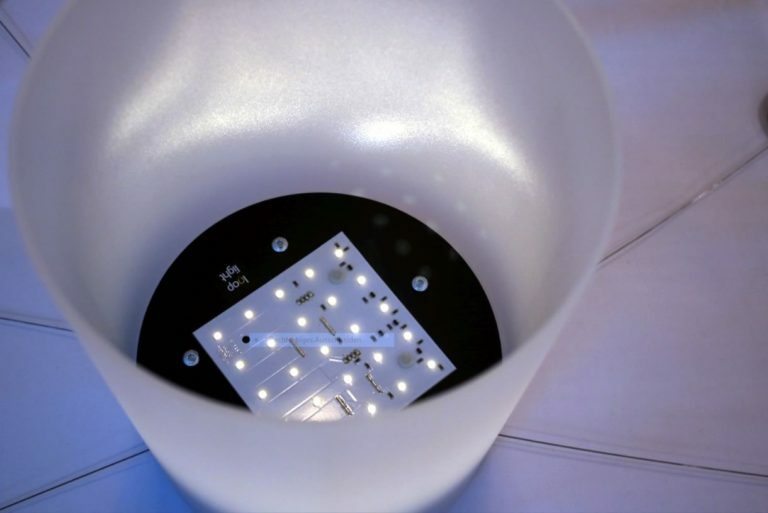 The commitment lamp is a schoko construction, consisting of a white LED lamp with up to ten touch sensors and free programming which determines basic brightness, maximal brightness and a scale of brightness levels, expandable in all directions and available in various colors, with audio coupling as well as a remote control.